New Caledonia has a reputation for being an expensive tourist destination. However, while this may have been the case in the past, it is now very possible to have a great time there at a cost comparable to any other South Pacific destination (such as Fiji, The Cook Islands, or Tonga). Of course, if you stay at a top-end resort and eat only at the resort restaurants or other restaurants in the tourist areas then you will be paying top dollar. However this is the case anywhere and even so, you won't find it noticeably more expensive than comparable places in other countries. 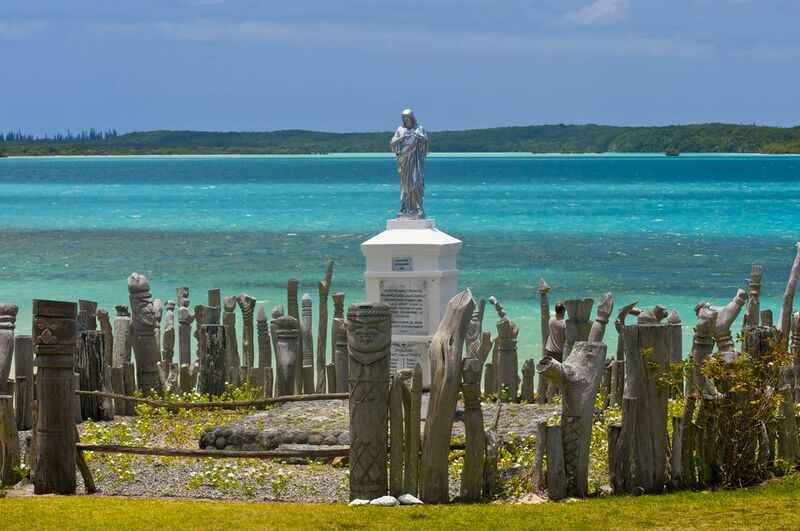 One of the reasons that New Caledonia is no longer as costly to visit is the exchange rate. Currencies such as the New Zealand or Australian dollar are now much stronger against the New Caledonia currency, the Pacific franc. If you are on a family holiday to New Caledonia, being careful with the budget is even more important. Here are some additional ways to make your money go much further and to enjoy a memorable time. Virtually all of the tourist hotels and resorts in Noumea are located near the waterfront areas of Anse Vata and Baie de Citron. Several, such as the Royal Tera, have apartments with kitchen facilities so you can save quite a bit by catering for yourself. These resorts do have the advantage of being close to town and to the waterfront, especially the beaches. This can also reduce transport costs as well as time. The Chateau Royal (formerly Royal Tera) and Meridian are right on the beach and the other hotels are just across the road. Apart from the hotels, another option is to stay in a privately owned house or apartment (called a 'gite'). Many people rent their property out in this way. This will work out to be a lot cheaper although they will generally be in an urban area and further from the beach. Gites are also usually available only on a weekly rather than a nightly basis. The local bus service is frequent and inexpensive. If you are with a group a taxi may be cheaper to split. Even on the restaurant strip at Anse Vata and Baie de Citron, it is possible to eat for less than NZ$10 per person for lunch; every eating place has its menu and prices clearly displayed outside. If you travel a little further away you will find the restaurants to be even cheaper. A really great idea though is to head to the Noumea market (open until midday daily) or one of the several supermarkets and do your own catering. Grab some French bread, cheese, and a bottle of wine (wine is sold in the supermarkets) and you'll have a meal you will remember. Explore the streets and shops of downtown Noumea. Walk to Ouen Toro Lookout for a panoramic view of Noumea and the surrounding sea. It's actually much easier to plan an inexpensive quality holiday in Noumea than in many other parts of the Pacific. If you're prepared to be a bit adventurous and prepare some of your own meals it can provide for outstanding value as a South Pacific destination. Which Islands and Resorts in Tahiti Are Best for Kids?